If you follow me on Instagram (and you really should;-) you've seen this one slowly coming along. It started as a way to use up bonus triangles from the Strawberry Fields quilt I started on retreat (still unfinished while I source more low volume fabrics). 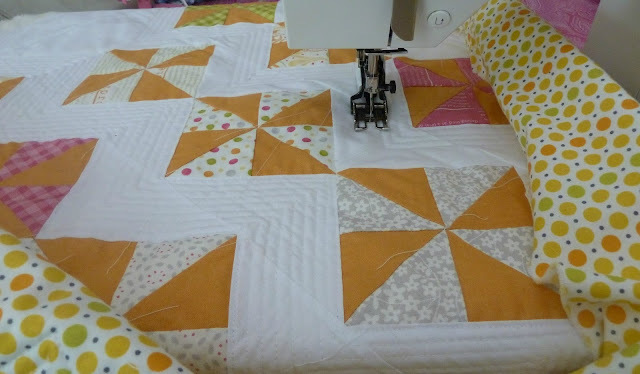 It's really monotonous densely quilting all these straight lines in the sashing. I tried to just work on it section by section whenever I had some free time. In the end it was worth it. I love the way it emphasizes the chevron pattern! 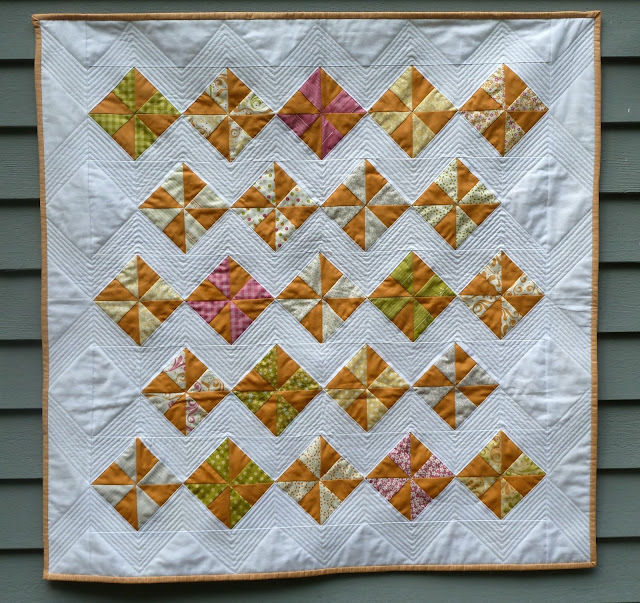 I don't usually work with orange but I love how cheerful this quilt turned out. For now I'm using it as a table topper and I always smile when I walk by the dining room and see it. Finished quilt is 36" x 36"
Fabrics: Sunkissed by Sweetwater for Moda, Bella Solids Bleached White. 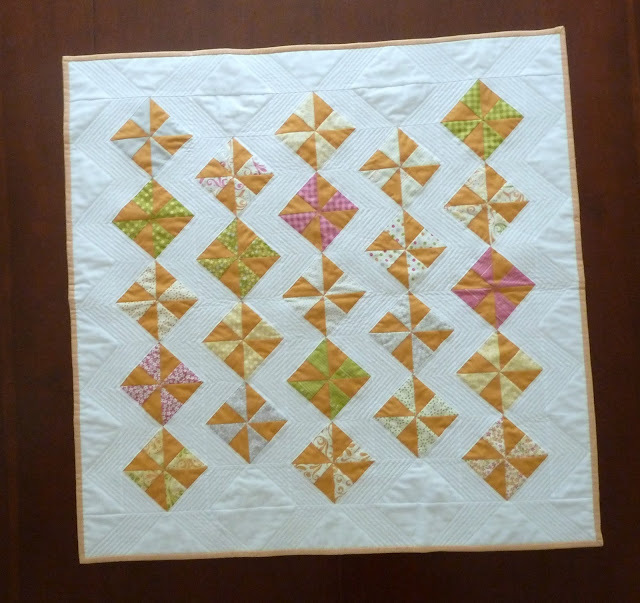 Backing from DS Quilts Collection. Oh wow, the quilting is SO worth it! Gorgeous! 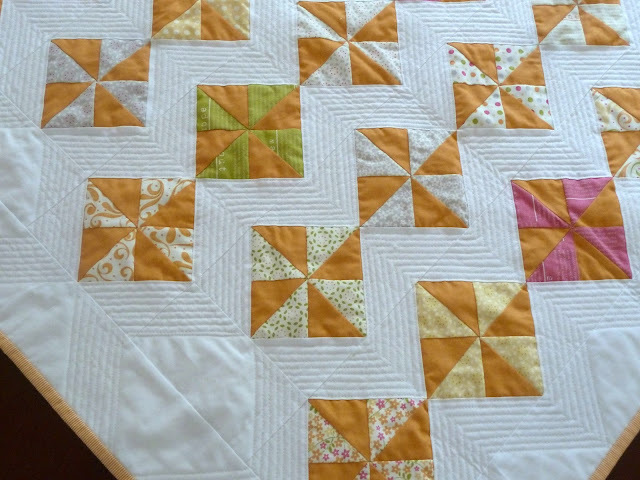 Very sweet, your quilting is amazing! 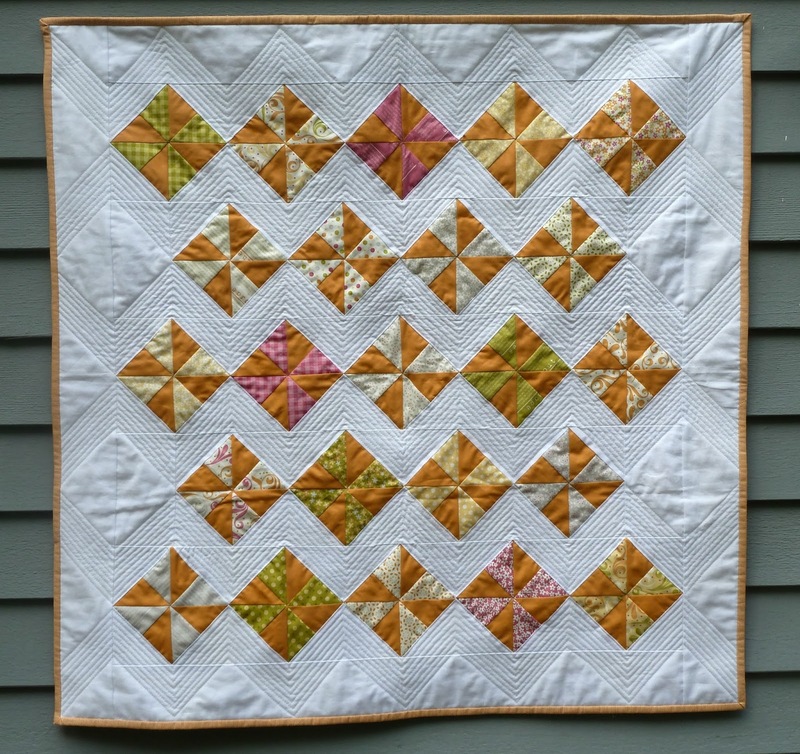 The quilting is so cool, nice work! Beautiful job, Alice. Nice idea for the quilting. Visit with V and Co.